It has been a very busy week over here. In case you didn’t notice, I didn’t have anything up yesterday for my biweekly Thursday Thrift. I guess time may have been less of a factor than the weather for that particular post; it has been rainy, and cloudy, and cold, so I haven’t had much motivation to wear anything other than jeans and worn old sweaters. Plus, I have been spending a lot of time outside, even despite the lack of sunshine and warmth. In the last week the sun did shine a couple of days and it was even a little bit warm, so I tried to take some advantage of it. 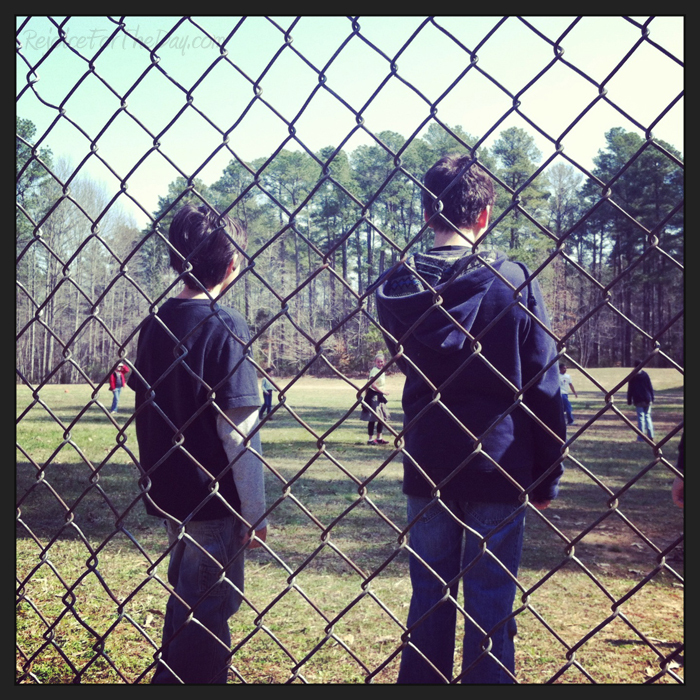 We squeezed in a day at the park for kickball. Plus, I planted some more bulbs and did some gardening digging around in the dirt. 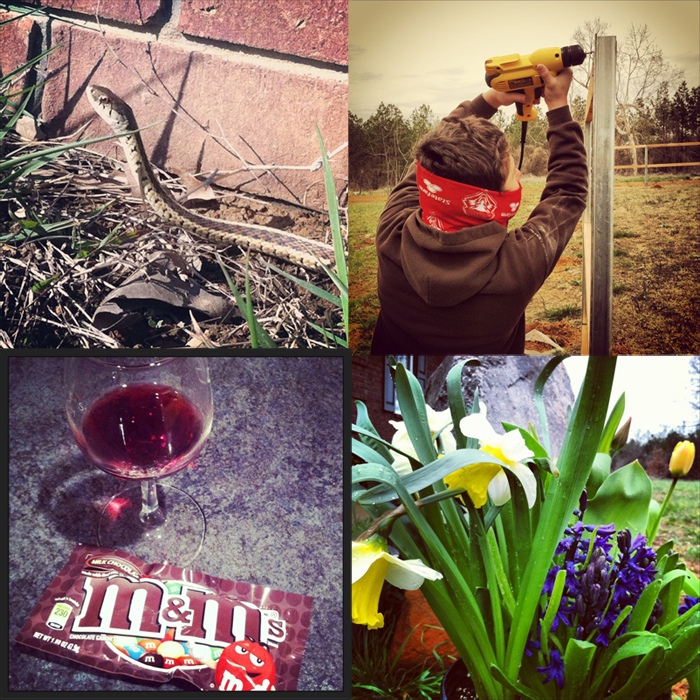 A few other highlights of my week include finding a snake in the backyard – I know they are out there somewhere. Getting a start on our fence – the boy is becoming less of a go-fer and more or a worker. Finding plants on sale for my slow growing yard, and also wine and M&M’s – a perfect treat for a super busy week! I expect after this weekend I will have a little more time. Although, with a new backyard and warmer weather in the forecast, I may find myself outside a whole lot more. I am really looking forward to this spring when it finally decides to stay for good. Glass of wine and M&M’s definitely a perfect treat! Looks like you’ve been busy, and I love that picture of the flowers (daffodils)? Lol, Spring has been coming and going over here too… crazy weather! Yeah, the flowers are daffodils. 😉 There were even a few other kinds in with the mix. I have had about enough of this ‘crazy weather’. Although, I will be ready for it again come July. The heat with the humidity is hard for me to handle.